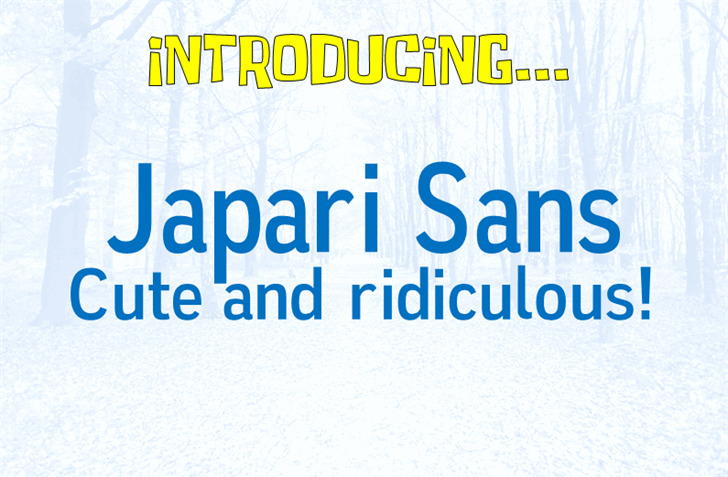 Japari Sans is a new derivative work of the freeware font, Autoradiographic. Several of the ASCII characters have been redesigned. Design Modifications by Heaven Castro @ Heaven Castro Studios. Copyright (c) 2018, Heaven Castro. Autoradiographic (c) Typodermic. Kemono Friends (c) Yaoyorozu.